The most exciting game in the casino can be beat and I can show you how. Thanks for the follow up with us after our one day dice lesson with you. It was nice to see your check-up email. J and I don’t get much practice time together, however I did see where P4K could take us. I started out with a $150.00 buy-in. I was playing at home on our practice table. I was shooting normal point and out. Then shot random rolls left handed (opposite) two, three throws with a couple pass line bets losing some, winning some. Then I remember what you taught us. The proven P4K winning strategy. Disciplined play and solid money management. How to make low risk, money-making plays. How to leverage profits for maximum results. How to pick a table with winning energy. How to protect your bankroll, playing the best odds. How, when, and if to use aggressive plays. How to recognize optimal playing conditions. How to recognize the subliminal messages of the game. How to increase profits without increasing risk. How to adapt the system to your own style of playing. How to keep yourself out of the losing games. What to look for when it is time to color-up. Practice and learn through hands-on play to experience first-hand the P4K system. Employ the secrets of Playing 4 Keeps™ using “applied metaphysics”. Experience one to one coaching. Receive positive feedback and honest critique of your progress. Experience ‘Concentric Energy’, a collaboration of focused attitude, confidence, intention, consistency, control and discipline. Ask your questions and receive clear and concise answers. Complete the program with a comprehensive overview. Play craps with complete confidence knowing that you are using the best method for a consistent winning experience. including the Do’s and Don’ts of Dice™ Playbook. as you learn what it feels like when you are Playing 4 Keeps™. You will enjoy Michael’s teaching demeanor and his sense of humor. He will teach you the money-making plays of craps and how to pick a table worthy of your investment. You learn to recognize changes in the “energy” and know the action to take. Michael will teach you valuable money management techniques that will keep you in the game, giving you the best bang for your buck. You will discover the unseen dimension of “applied metaphysics” and learn to perceive subtle information from a not so hidden world. Email The Professor to schedule your Do’s and Don’t of Dice™ five hour craps program. Perhaps overstated if not over rated, dice influencing and dice setting can be developed with practice and possibly be an added asset in your gaming tool bag. It requires a commitment that few have necessary discipline to see it through to mastery. For the record, with regard to dice control, there is not such thing. There is a difference between dice control and dice influencing. Dice cannot be controlled in the sense of predicting and than producing that outcome. Dice influencing involves consistency, observation, modifications and adjustments during the heat of the game that sustain a longer roll. Dice influencing is hinged with intention, confidence, and a time commitment focused on lots of practice. The same can be said with mastering the many dice sets. The Professor simplifies dice setting, narrowing the options down to the come out set, point cycle sets and a couple of modified sets. Additionally, you will learn to shoot successfully from any table position. This is critical when you consider your casino playing time and the number of sessions you may fit into a gaming year. Trained in musculature anatomy, The Professor will scrutinize every movement with your toss and provide you with the physical adjustments that will improve your toss, from start to finish. It is not his intention to train you to shoot his way. The goal, is for you to toss dice that best suit the theory of dice setting and influencing. However, your toss needs to be designed in a way that is most comfortable for you. You must feel relaxed, and the toss has to produce the results you intend. Self critique is a huge part as well. After all no two sessions are alike and the same can be said about any two tables. Thus, being a careful observer of your own toss from start to finish is an absolute must. The Professor will instruct you in step by step procedure allowing your to critique your toss, make the physical corrections, change the set, anytime, any table, any game. Dice Influencing and Dice Setting $125 per hour, two hour minimum. Email The Professor to schedule your dice influencing lesson. 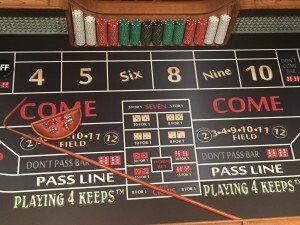 Looking for personalized craps coaching? The Professor will create a personalized lesson especially for your required needs. After a phone call interview and discussion, and based on the time you are willing to commit to, a tailored dice lesson will be proposed for your consideration. It is the Professor’s intention to only work with students who align to the P4K concepts. He is not going “sell” a program for the sake of a sale. Hourly rate, $125 with two hours minimum. It does not matter where you are on the dice learning curve. You can be a complete beginner or a 30 year veteran. I provide gaming knowledge for every level of experience. I have something to offer for each and every client. Guaranteed! When playing a game with money at risk, and with odds against the player to win, it is only logical, if not imperative, to possess every plausible advantage, in order to secure the win. After all, it’s your money. Shouldn’t you be Playing 4 Keeps™? Email The Professor to schedule your dice lesson. 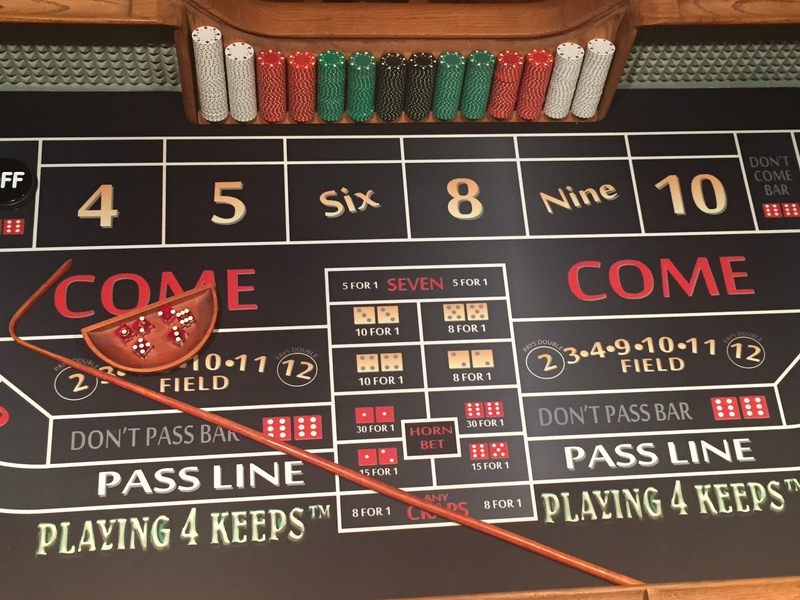 Some people say, “There is no winning system for Craps!” That is a good thing for Playing 4 Keeps™ players. It assures us of no pressure from the casino. Michael has studied the game of craps for twenty-five years. He has researched, developed, tested and perfected a method of play that can consistently produce positive results despite the odds. Share the post "Craps Coaching"